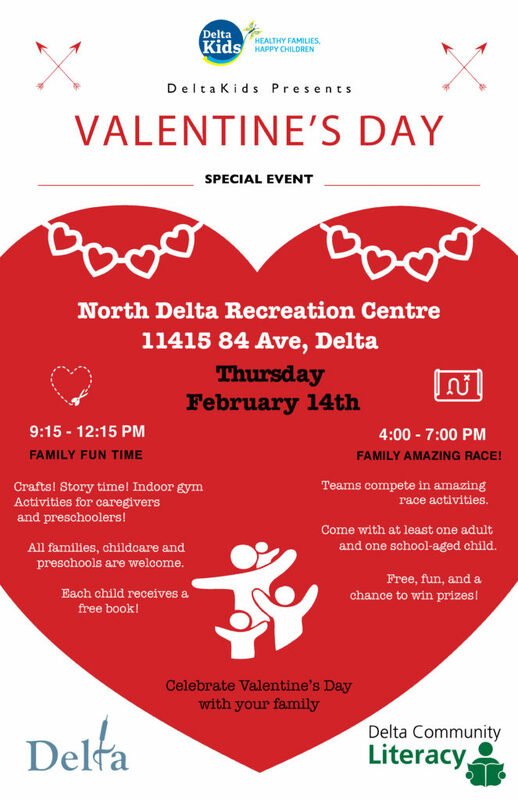 Have a fun-filled Valentine’s day with your child and attend our drop-in program. There will be crafts, stories, activities, and a free book for every child! Enjoy Valentine’s Day as a family! Teams (of at least one adult and one school-aged child) compete in amazing race activities. There are amazing prizes to be won! The activities take around an hour to complete, and you can start when you arrive at NDRC.